This subproject focuses on discussions on the ethics and economics of prenatal diagnosis, that is on negotiations of value in a broad sense, in relation to the introduction of new diagnostic technologies in Sweden ca 1960-2018. It will also take a closer, comparative look at discussions in Sweden and Denmark in the last 25 years or so, in order to explore how quite different practices of both using and taking the consequences of prenatal diagnostics have emerged in the two neighbouring, and in many respects very similar, countries. 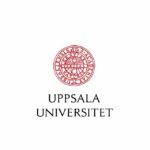 • ”Rays of death and visions of life: Risk evaluation and the framing of ultrasound as a safe technology for prenatal diagnosis", paper presentation, Valuations of Life: Birth defects, prenatal diagnosis, and disability, Uppsala University, Uppsala, Sweden, September 25–26, 2018. • “An acceptable eugenics? Ethical debates on prenatal diagnostics in Sweden and Denmark, ca 1980–2010" (title in transl. ), paper presentation, Swedish Historians’ Meeting (Svenska historikermötet), Mittuniversitetet, Sundsvall, Sweden, May 10–12, 2017.